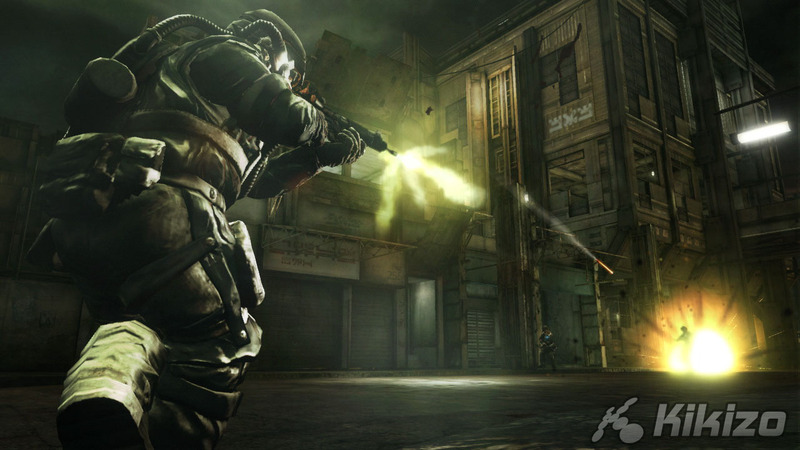 We've been though an extensive playtest of the latest multiplayer beta build of Killzone 2 - read our impressions. 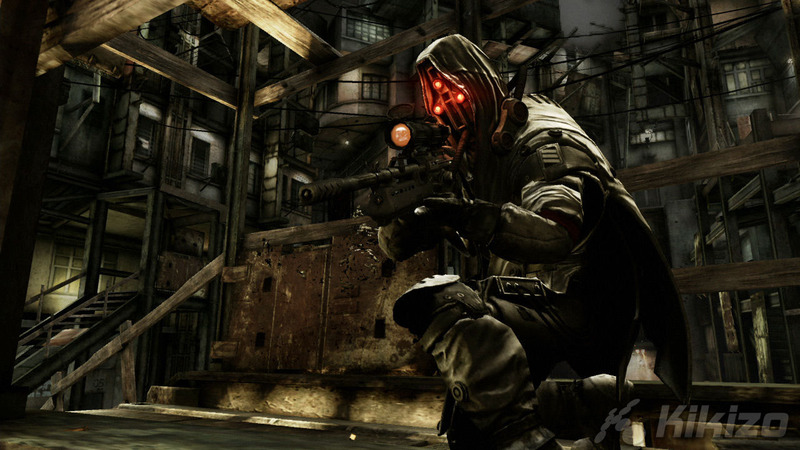 We can only imagine the conversation when the Helghan High Command standardised the makeup of the average Helghast infantryman. Presumably the caffeine hadn't kicked in yet that morning. "So, next up is... headgear. What's our gameplan, Abe?" "Well your Supreme Evilness, Peterson and I were just saying that it's a little, like, obscure on Helga at the best of times - chemical storms, clouds of noxious industrial gas, plus there's that budget interior lighting... isn't Arnold on that, the lighting? A man can't take a leak-"
"Cut the cackle, Abe, we've got a schedule here." "Sorry, your Dastardliness. So Peterson and I were thinking we should wear these huge, orange, illuminated goggles as a sort of (finger quotes) tactical aid - help our troops see one another in the middle of the action." "Hmmm. I'm just trying to step outside the box here, gentlemen, but won't that make it very easy for the ISA to see us too?" "Ah, but here's the clever part, your Hideousness - whenever our guys come under fire, all they have to do is keep really, really still and the ISA will mistake them for traffic lights." "Traffic lights with automatic rifles and body armour." "You got it. What do you think?" "I think it's nearly lunchtime. Let's rubber stamp this puppy." 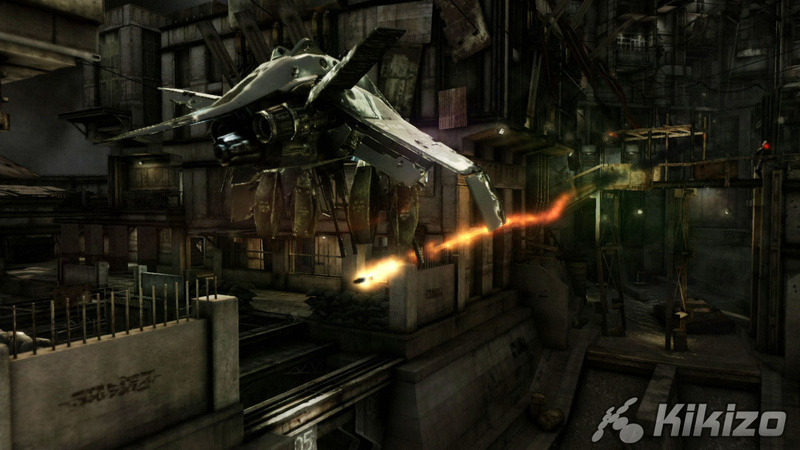 In fairness, this kind of suicidal hypothetical reasoning can be attributed to a lot of videogame villains - think of those Covenant snipers and the tell-tale sparks of their viewfinders - and in single player terms there's a lot to be said for making the enemy a bit more conspicuous, especially given the present developer fondness for the browner end of the spectrum. 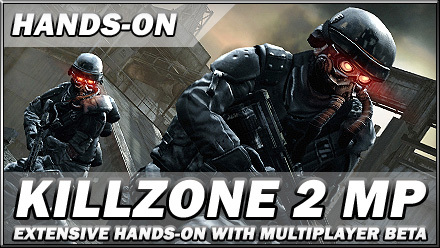 But the trouble is that Killzone 2 is also a team-based multiplayer game, and in team-based multiplayer somebody has to play the bad guys. 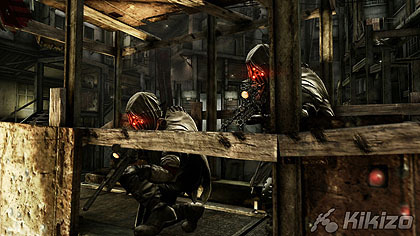 The Helghan army's fashion sense doesn't represent an overwhelming disadvantage, as attested by some humiliating ISA defeats, and the humans have gamely donned khaki blue bandanas to even the odds, but when you're feeling around for a headshot through a veil of acid rain that Christmas tree eyewear can be a Godsend. 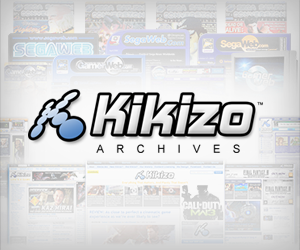 Fortunately, this slight balancing issue is one of a scant few needles of criticism in the online component's haystack of positive potential. 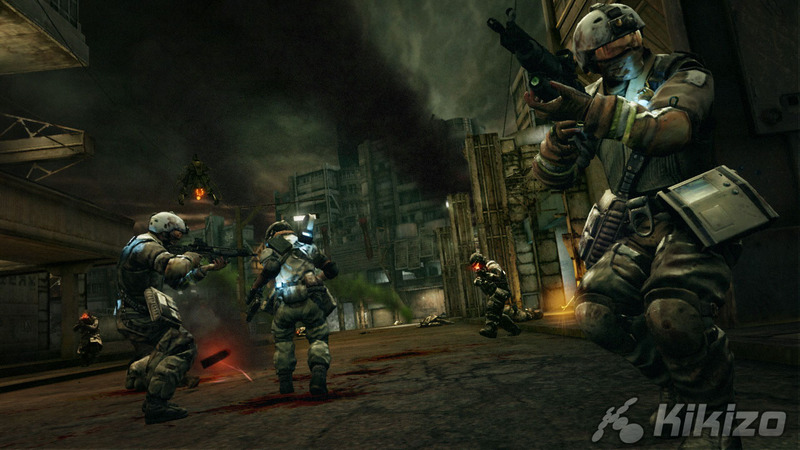 Killzone 2 supports up to 32 player matches across eight maps. 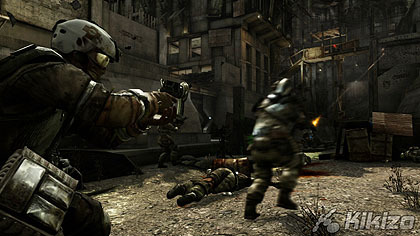 There are five match types, none of them particularly off the beaten warpath but all great entertainment and playable on any map: Body Count is team deathmatch, Assassination randomly selects a player on one side as a VIP target, Search and Retrieve is Capture the Flag, Capture and Hold tasks you with seizing two out of three hotspots and Capture and Defend has you protecting just the one. If you can't make your mind up, there's the option to tackle all five modes in succession in a single round. 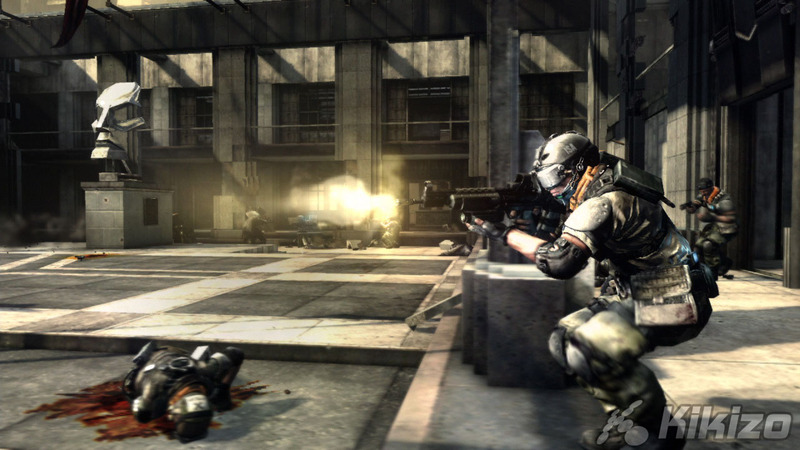 Guerrilla has built in all the flexibility you'd expect of a big budget online shooter: players can hold password-protected matches or limit them by rank, adjust the time it takes to capture an objective, outlaw certain weapon types and so on. There's clan support, naturally, and you can bet "Valour Points" awarded for clan wins on the outcome of tournaments, or sign on wimpishly as a Spectator to learn from the best. Between jaunts on Helga's embattled surface, there are over a hundred player statistics to bite your nails over from the menu screen, plus the usual friend lists, leaderboards and messaging features. 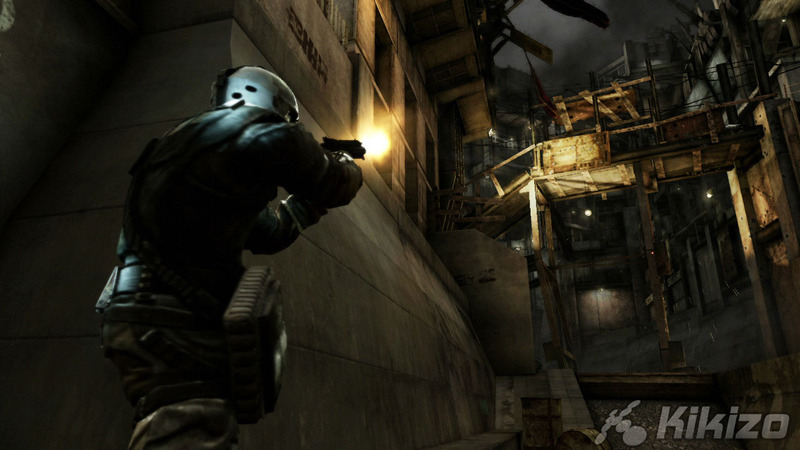 Where Resistance 2 structures its 60-player online engagements by way of compulsory team support, Guerrilla has included the option to recruit or join four-man squads mid-match. Squad members share a voice chat channel and appear on each other's minimaps as purple dots, making it easier to coordinate small-scale strategies amid the fracas. Nevertheless, full 32-player engagements tend to go the way of Pearl Harbour after a while, as players congregate around bottlenecks and open areas.